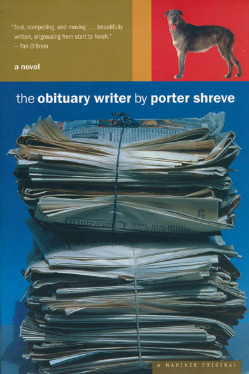 Porter Shreve is the author of the new novel The End of the Book. 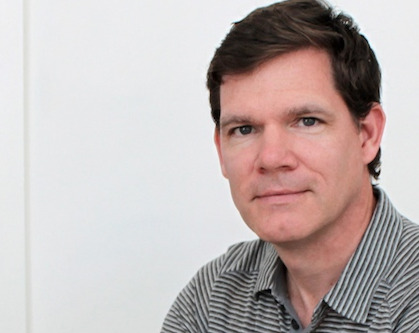 His other work includes the novels The Obituary Writer, Drives Like a Dream, and When the White House Was Ours, and he is the co-editor (with his mother, writer Susan Richards Shreve, or his wife, writer Bich Minh Nguyen) of six anthologies. He has taught at various universities, including the University of Michigan, Purdue, and the University of San Francisco; he lives in the San Francisco Bay Area. 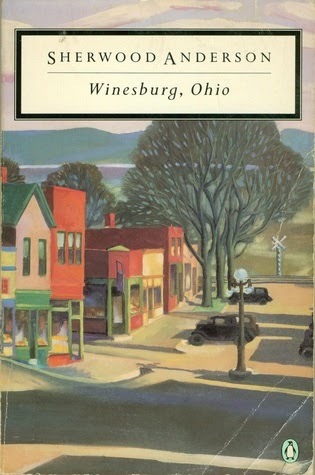 Q: What first interested you about Sherwood Anderson's 1919 classic Winesburg, Ohio, and why did you decide to incorporate it into your new novel? A: I first picked up Winesburg in college, but it wasn’t until my second or third reading years later that I really started to love the book and see the full measure of its beauty and empathy. I only recently recognized some connections to my own life, as well: I share a birthday with Anderson; my mother’s family is from a similar town, Urbana, Ohio; my grandfather was a newspaperman like George Willard, and his hometown sweetheart, Helen, was a lot like Helen White; and I recognized that many of Anderson’s characters, like me, are hopelessly restless. At the end of Winesburg, George Willard has just boarded a train heading west, and the idea for my novel began when I started to wonder where that train was going. It had to be Chicago. And when? Turn of the century, when Chicago was the fastest growing city in the history of the world. I wondered what would happen to George. Would he become a muckraking journalist? Would he join the world of commerce, as Sherwood Anderson did for a time? Would he become a writer, as he so often dreamed? Or would the city eat him alive? Q: Why did you decide to include a modern-day story in addition to the one from the early 20th century? A: Essentially I wrote two books, then braided them together. 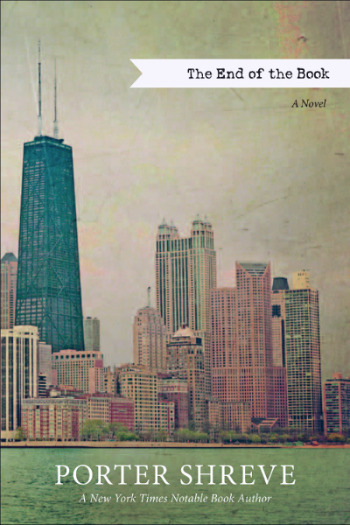 The first book was historical fiction: George Willard comes to Chicago. Like a lot of novels published around the turn of the century by writers like Theodore Dreiser, Hamlin Garland, Upton Sinclair and Willa Cather, mine followed a small town kid, “hinterland squab,” into the maw of the city to see how he’d survive. Once I finished the historical novel, I realized my book was too much of a continuation of Sherwood Anderson’s masterpiece. I didn’t want to write a sequel; rather, I wanted to do something more along the lines of what Michael Cunningham pulled off in The Hours. It was around that time that I realized I could have a present line of action, a story set a hundred years after George Willard’s narrative, but that intersected with it in many ways. The breakthrough came when I thought up a dissipated Sherwood Anderson scholar living in diminished circumstances, like a Winesburg grotesque, and his son, an aspiring but unsuccessful writer, who’s forced to take care of him. I’ve always wanted to write into or against the current culture, so I gave the son a job digitizing the world’s books for a Google-like Internet company, then found lots of ties between the heyday of early 20th Century advertising, where my George Willard ends up working, and the targeted advertising of our 21st Century moment. Q: As you’ve mentioned, one theme in The End of the Book involves the future of books, or the form they will take. What do you see happening to the book industry in upcoming years, and how did you choose your title? A: If only I had a crystal ball. One challenge in writing the book was that publishing is currently in flux, and probably will be for some time. 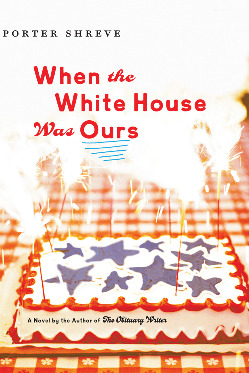 So I set the present storyline in 2008-2009 at a particularly cataclysmic period in American publishing, when the economy was tanking, layoffs were happening left and right, and a future of mergers and restructuring was becoming a certainty. So the story is set during a time of panic when there was a lot of talk about the end of the book, certainly the end of print. I don’t think that talk has died down too much, nor will it anytime soon. Just a couple months ago, the country’s first bookless library, BiblioTech, opened in San Antonio, and the percentage growth of ebook sales is outpacing hardcovers and paperbacks by miles. At the same time, independent bookstores have benefitted from the shuttering of Borders and an increased need for curatorship. I hope the indies keep thriving, and I love reading about new stores, like Literati in Ann Arbor and Parnassus in Nashville. But I don’t know. With the public adjusting to the screen, it’s hard to imagine a bright future for paperbacks. Hardcovers will probably continue to have keepsake value. But the optimist in me is crumbling under the facts. As for my title, the threat to literature is definitely part of the story, but also at the core is a mystery: Who is writing the George Willard novel-within-a-novel? Is it Adam? His father? Someone else? Is it a lost manuscript written by Sherwood Anderson himself? My novel gets at this question of authorship: who is writing the end of the book? Q: You are part of a literary family, including your wife, Bich Minh Nguyen, and your mother, Susan Richards Shreve. Do you show your work to family members as you're writing? A: My mother was extremely helpful with my first novel, The Obituary Writer. She taught me a great deal about structure, character and narrative drive, so when I went to the MFA Program at the University of Michigan I had a beginning, middle and end and was well on my way, which was incredibly helpful. 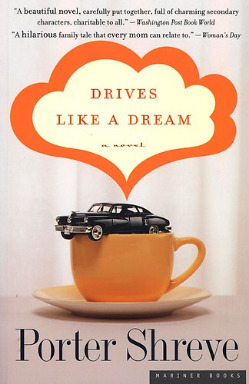 Ever since my second novel, Drives Like a Dream, my wife has been my first reader, and she’s amazing on both the big picture and line-to-line. I used to show her several drafts of each novel. Now we’ve been at this long enough that we only share two or three drafts. So I’m down to one reader at home, plus an agent and an editor. A: I have to be vague on this one because honestly I haven’t written much since moving and settling in California. Kids! Housing! Preschool! Day job! I’ve done some short pieces here and there. I have a hundred pages of a shelved novel. And I’ve been researching a nonfiction project that I think will command much of my creative attention once things quiet down this summer. I feel wound up and ready to get back to work. But first I have to clear the desk. 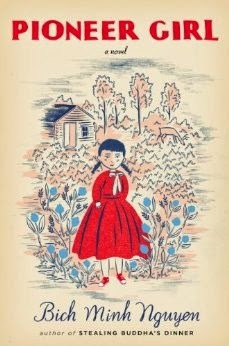 A: I’d like to put in a plug for my wife’s novel, Pioneer Girl. It’s an incredible book, and coincidentally it was published just a few days before mine. We started our novels around the same time, finished them around the same time, and perhaps most interestingly the books have many parallels: they’re both homages, of a sort, to writers we’ve long admired; they both combine historical with present day stories; they both include stories within a story; they’re both about family and romantic pursuits. And in both cases they begin in the Midwest and move to or toward California. At the time we were writing our novels, we had no idea that the same story – a western migration – would end up happening to us. But it did. And this isn’t the first time we’ve predicted our own futures in something we’ve written.